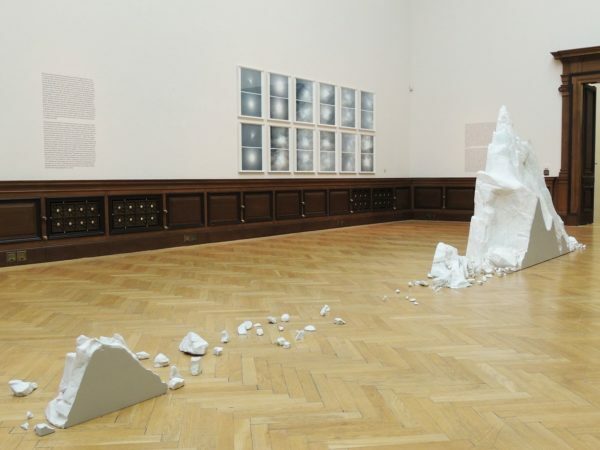 An installation view of There Is Always Something More Important and Recent Futures from MODEL at Rudolfinum, Prague. Project Pressure are really excited to announce a new artistic partnership with Mariele Neudecker. Neudecker’s work continuously returns to looking at ‘landscape traditions in art, dealing simultaneously with questions around technology and science, collective experience and time.’ This year will see Neudecker travelling to the area surrounding Nuuk in Southwest Greenland, where her multidisciplinary practice will be used to capture glaciers meeting the sea in both still and moving image. Sign up to our newsletter to get regular updates on this exciting expedition.